Whether you are planning your next vacation or planning for retirement, members can save money on everyday purchases thanks to our Affinity Partners. Join NARFE today to take advantage of these great deals. As a NARFE member, you have the privilege of joining InFirst Federal Credit Union, which has been serving active and retired federal employees and their families since 1935. The credit union offers extensive services at competitive rates to members nationwide at more than 5,000 shared branches, 55,000 surcharge-free ATMs and 24/7 phone access. Accounts are insured by NCUA up to $250,000. Everyone deserves legal protection. And now, with LegalShield, everyone can access it. No matter how traumatic. Whether you're looking for legal coverage for your business, your employees or both; LegalShield, has the exact plan to fit your needs. LegalShield has your rights covered. Welcome to total peace of mind. IDShield is the only company with an exclusive partnership with Kroll, the worldwide leader in theft investigative services. If a compromise occurs, you will work with a Kroll licensed private investigator who will immediately begin restoring your identity to exactly the way it was. If you become a victim of identity theft, we spend up to $5 million to do whatever it takes for as long as it takes to restore your identity GUARANTEED! Designed exclusively for NARFE members, plans administered by Mercer Health & Benefits Administration LLC include Senior Age Whole Life Insurance, Senior Term Life Insurance, Hospital Income and Short Term Recovery Insurance, Vision Insurance, Dental Insurance, AssistPlus, Discount Prescription Plan and Pet Insurance. Nationwide Insurance has made a financial contribution to this organization in return for the opportunity to market products and services to its members or customers. Products underwritten by Nationwide Mutual Insurance Company and Affiliated Companies. Home Office: Columbus, OH 43215. Subject to underwriting guidelines, review, and approval. Products and discounts not available to all persons in all states. 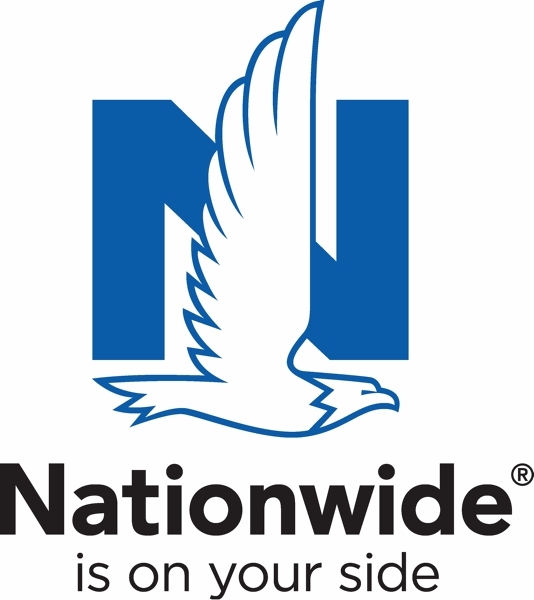 Nationwide and the Nationwide N and Eagle are service marks of Nationwide Mutual Insurance Company. © 2018 Nationwide. Our pre-arranged plans are designed to cover all necessary expenses for one guaranteed price even if the services are not needed for 40 or 50 years. Or plans includes 24-hour availability of our Neptune Society staff, removal from place of death, transportation, cremation container, cremation process and urn. We also assist with filing Veteran’s and Social Security benefits. We will complete final disposition as requested by scattering the cremated remains at sea, mailing them to a cemetery or returning them to a family member. Neptune offers two options that cover the need of every individual. Our Local Plan covers members within a 75-mile radius of their home. Our Extended Plan guarantees our members worldwide coverage, whether they are traveling on vacation or they relocate to another city or state! The Neptune Society offers a $100 discount to all National Association of Retired Federal Employees members. Financing options are available. NEW Member Perks Partner! PROTECT YOURSELF and YOUR CAREER ... Introducing Special Federal Employees and Contractors Professional Liability Insurance with a NARFE DISCOUNT. Starr Wright USA is offering up to $2,000,000 of coverage including LEOSA coverage. Congress has legislated up to 50% reimbursement from Agencies for qualified employees and we even offer contractors coverage too! NARFE members get $10 a month off Verizon Fios Internet, TV, and Home Phone Triple Play bundles. Receive an amazing experience with Fios® TV One, featuring 4K capability and an advanced voice remote, Our fastest internet available*, so you can work from home and stream on other devices, Stream in 4K on four devices at once with a Netflix premium plan, on us for one year. Standard setup charge waived ($99 savings). Sprint’s Unlimited Plus now gives NARFE Members an extra discount if they use their existing phone when switching over from another carrier. You can now get 2 Lines for $47.50/line Unlimited Basic, and up to $200 Prepaid card for switching to Sprint. It’s a great time to look at Sprint! NARFE members have access to huge savings on nationwide attractions and events through MemberDeals. Find exclusive discounts, special offers, preferred seating, and tickets to top theme parks, shows, sporting events, hotels, movie tickets, and much more. NARFE is pleased to offer its members an exclusive travel discount service. Savings may exceed 50%, and average 10-20% below-market on all hotels suppliers around the world. Any hotel, anywhere, anytime! Choice Hotels International is proud to offer NARFE members a 20-percent discount at more than 6,400 hotels in the United States and throughout the world. Members can join the Choice Privileges® rewards program and earn points with every qualifying stay toward free nights, Airline rewards, gift cards, charitable donations and more. Members can save up to 20% off the best-available rates at participating locations when they travel. Whether you are looking for a luxury hotel, an all-inclusive resort or something more budget-conscious, Wyndham Hotel Group has the right hotel, in the right place, for the right price. Resort Stays at Hotel Prices! Exceptional vacation resorts offered by Wyndham Extra Holidays are located in the most desirable vacation destinations in the United States and beyond. From historic small towns to bustling urban cities to relaxing Caribbean, Fiji and Hawaiian islands, there is an abundance of vacation spots to explore and discover. At Wyndham Extra Holidays Resorts, excellent service and the finest comforts are standards you can always rely on. Each room is equipped with kitchens, washer/dryers, parlors and bedroom/multi-bedroom configurations. Why spend more at a hotel when you can get more for less in a condominium environment? With more spacious floor plans than a hotel, you can also enjoy a two- or Three-Bedroom condominium where your kids have their own room! Vacations are now more affordable; dining out three meals a day is no longer a necessity. Check out our collection of resorts today and let us know about your stay! Drive Happy with Alamo where NARFE members receive year- round discounts. Call or visit our website today to access this great offer! Budget is pleased welcome NARFE Travelers to travel with new car rental discounts, available at locations worldwide. Budget Car Rental was founded in 1958 for the “budget-minded” renter. Today, with approximately 3,500 locations around the world, discounts, upgrades and Fast Break memberships are available to members of NARFE as a benefit of your membership. You Drive A Hard Bargain. 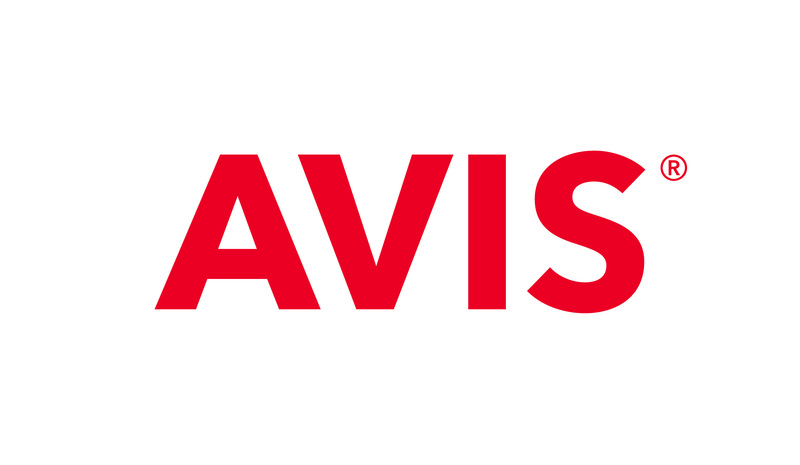 Receive up to 20% off rentals at National Car Rental. NEW Member Perks Partner! Office Depot and OfficeMax are one company! NARFE Members can save up to 80% on over 93,000 products. Great for your printing, cleaning and office needs. Shop online or in any Office Depot or OfficeMax store. Enjoy FREE next-day delivery on online orders over $50! NARFE members ENJOY FREE SHIPPING ON EXCLUSIVE COMBOS AND AN EXTRA 10% OFF YOUR ENTIRE ORDER WITH OMAHA STEAKS! Omaha Steaks delivers the finest in gourmet steaks, seafood, poultry, sides and desserts. NARFE members can enjoy FREE SHIPPING on select combos and an additional 10% DISCOUNT off entire order. With Purchasing Power, thousands of brand-name products are within reach. As members of NARFE, you can buy today and pay over time through payroll or annuity allotment. NARFE members receive special discounted pricing for all interstate shipments. Discount applies to packing and moving services, and valuation protection. All intrastate shipments, and local and international moves will be competitive in cost, based on geographical location. Allied Van Lines - Coleman Worldwide Moving, providing quality moves since 1914, whether you are relocating across the street across the nation or around globe, we strive to simplify the moving experience. As you prepare for the exciting experience of moving, Coleman Allied is here to listen to your needs, provide solutions, and make the process easier. From the beginning, a Coleman Allied relocation specialist will meet with you to evaluate, plan, and discuss special arrangements tailored to your needs. With over 300 agency partners and an entire team dedicated to a quality move experience, we can guarantee a seamless experience from start to finish. 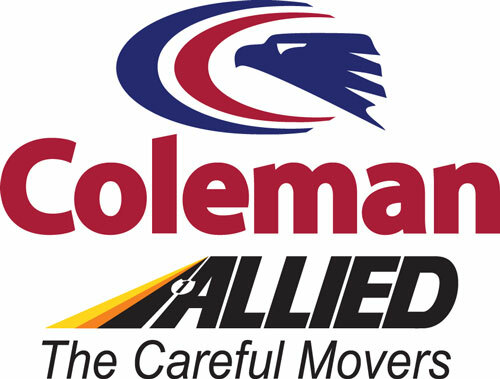 Coleman Allied provides customized discount levels for all NARFE members for Interstate moves and competitive pricing on all local and in-state moves. MiniMoves is celebrating 25 years as America’s only national mover exclusively focused on small shipments; a piece, a room, a full apartment or condo. We’re the right fit for sending kids off to college, moving personal items to a second home or downsizing and distributing furniture to family members across the country. There’s no minimum weight and our binding price quote helps you plan your move with confidence. We offer many service options and a personal move assistant so we can help you design the MiniMove you want. Choose full packing service, partial packing of just the breakables, crating of fine art, temporary storage, even shipping your car. We’re affordable, convenient, and reliable. Our service has earned the BBB’s top customer rating. At Wheaton, we know interstate relocating is much more than trucks and boxes. Moving is not simply an address change. It’s a life change. With a network of top-quality agents throughout the United States, Wheaton provides peace-of-mind with every relocation. Wheaton offers savings, customized estimates for all NARFE members. HearUSA: The Nation’s Most Trusted Name in Hearing Care. Choose from 250+ hearing aids from 11 manufacturers with $0 Co-Pay for Many Plans. Wireless. Bluetooth. Smartphone Compatible. Nearly Invisible. Risk-Free 60-Day Trial. Free Follow-Up Care. Free 3-Year Warranty. Brookdale Senior Living Inc. is the leading operator of senior living communities throughout the United States. The company is committed to providing senior living solutions primarily within properties that are designed, purpose-built and operated to provide the highest-quality service, care and living accommodations for residents. Brookdale operates independent living, assisted living and Alzheimer’s and dementia care communities and continuing care retirement centers, with approximately 961 communities in 46 states and the ability to serve approximately 93,000 residents as of September 30, 2018. Through its ancillary services program, the company also offers a range of home health, hospice and outpatient therapy services. Such discount is only applicable to new admissions to a Provider Independent, Assisted Living, or Memory Care community admitting under an executed Residency Agreement or to a new Client to receive personal assistance services by a Provider Agency under an executed Services Agreement. Existing Residents, Residents under a Life Care Agreement, and existing Personalized Living clients are not eligible for such discounts. The discount does not apply to any room, board or services which are paid for all or in part by any state or federally funded program (such as a Medicare program or Medicaid waiver program). Further restrictions may apply. 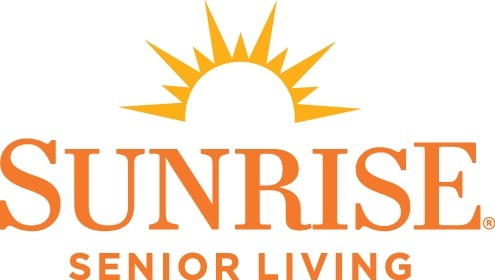 Sunrise Senior Living, a leading provider of high-quality, individualized, senior living services, offers NARFE Members a special, discounted rate. NARFE members receive a one-time 5% off of suite/room rates at any of Sunrise's U.S. communities for one year. As a special member benefit, you and your family can enjoy discounted access to a national network of senior care services provided by Sunrise Senior Living. Founded in 1981, Sunrise provides individualized senior care with access to designated care managers in a safe and nurturing environment. Services include independent living, assisted living, Alzheimer’s and memory care, short-term stays, skilled nursing and rehabilitative care. Based on a philosophy of relationship-based care, Sunrise’s dedicated team members are trained to encourage independence, preserve dignity, enable freedom of choice and protect the privacy of its residents. For a complete list of Sunrise locations visit www.SunriseSeniorLiving.com. Contact the community of interest. * Void where prohibited by law. Discount not valid for skilled nursing admissions. Restrictions may apply. Discount not valid for respite/short-term stays of fewer than 90 days. May not be combined with other discounts or offers. Discount valid for a period of twelve (12) consecutive months only. America’s leading provider of community-based preventive health screenings, Life Line Screening will conduct a variety of screenings in your neighborhood using state-of-the-art ultrasound technology. NARFE members receive discounts on screenings. As the official provider of NARFE merchandise, the NARFE General Store offers NARFE-approved name badges, business cards, customizable logo products and plaques. Check out our online catalog.